NEW YORK GOLD just keeps on flowing out of California , with Riesling leading the way and several wines winning various “Best of” awards. Last weekend I had the pleasure of judging at Dan Berger’s Riverside International, where the Chateau LaFayette Reneau 2006 Off-Dry Riesling won the “sweepstakes” as Best White Wine in the competition (which included well over 2,000 wines from around the world). 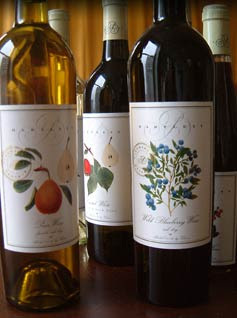 Other New York wines in the sweepstakes tasteoff, and receiving the “Chairman’s Award” akin to Double Gold, included Fox Run 2005 Dry Riesling, Baldwin Vineyards Raspberry, and Swedish Hill Country Concord, which came within one vote of being named Best Dessert Wine. Other Chairman’s Award winners included Chateau LaFayette Reneau 2005 Barrel Fermented Chardonnay, Red Newt 2005 RSV Cabernet Franc, and Swedish Hill 2005 Late Harvest Vignoles; and Gold medals went to Heron Hill 2004 Late Harvest Riesling, Lakewood 2006 Off-Dry Riesling, Red Barn Blackberry, Red Newt 2005 Cabernet Franc, and four Swedish Hill wines—Blue Waters Riesling, 2006 Cayuga White, 2005 Lemberger, and Diamond. At the PACIFIC RIM INTERNATIONAL run by Don Galleano, “Best of Class” awards went to Anthony Road 2006 Dry Riesling, Dr. Frank 2006 Rkatsiteli, and Duck Walk 2004 Sauvignon Blanc, with additional Gold medals awarded to Chateau LaFayette Reneau 2006 Dry Riesling, Goose Watch 2005 Traminette, Red Newt 2005 Cabernet Franc (again! ), Swedish Hill Riesling and Blanc de Blanc, and Torrey Ridge Peach Wine. 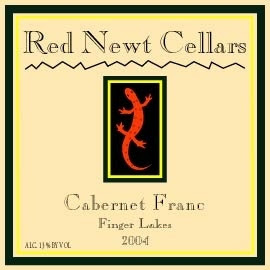 A couple interesting footnotes: Red Newt is clearly on a roll with its Cabernet Franc, the varietal wine which some consider most likely to become the equivalent of “red Riesling” for New York in terms of consistent quality and reputation. Duck Walk’s Sauvignon Blanc came very close to winning “Best White Wine” at Pacific Rim, but was edged out by a Niagara from… Oregon ! Niagara, a highly aromatic Native American variety, is grown primarily in New York and other eastern states, so it’s interesting that an Oregon winery has discovered its charms as well. This week is Dr. Bob Small’s fabulous LA International Wine & Spirits Competition, so I’ll be hopping on some more planes and probably won’t be able to do a Wine Press next weekend. Watch for more New York Gold! Wolffer Premier Cru a Hit In DC Examiner! 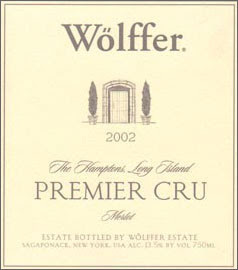 WOLLFER ESTATE 2001 PREMIER CRU got a great review in the Washington (DC) Examiner, sharing the spotlight with some of the world’s most famous ultra premium wines like Opus One, Silver Oak Cabernet Cabernet Sauvignon, Phelps Insignia, and Penfolds Grange. At $125 per bottle, the Long Island wine is New York ’s priciest, though in the same ballpark as the others reviewed, and clearly worth it judging by wine critic Keith St. Clair’s notes: “This was the best wine I’ve never heard of …one of the best merlots I’ve had in a long time…loaded with smoky, spicy dark fruits, plus chocolate notes…wonderful balance and a very long finish…Outstanding.” Unfortunately, it’s also sold out, but the 2002 version is available. The review resulted from Wolffer’s participation in the “Grand Cru” showcase at the Washington Wine Expo, made possible by our friends and partners at the New York State Department of Agriculture & Markets. Grapes for Premier Cru come from the steepest slope in Wölffer’s vineyard, insuring good drainage and water run-off as well as good air circulation. Ocean breezes protect the plants from winter kill and also provide cooling in summer, making the Hamptons the last region in New York State to get frost. This gives the grapes the long hang time (beginning of November) necessary for achieving balance of ripeness and acidity. Winemaker Tasting Notes:Dark red brick in color. Loads of ripe fruit with hints of toffee and dark chocolate aromas. The mouth-feel is concentrated with peeks of ripe mark (skin) characters, toasty oak, layers of tannins and well balanced acidity. The structure is tight and made for longevity. The seemingly endless finish is vibrant and spicy with wonderful warmth and classic mineral nuances. I live in Freehold, New Jersey, and it has seemed insane to me that I am interviewing winemakers up and down the eastcoast, and reviewing wines from the same, and yet the winery in my own backyard has gone without a review. Four JG's Winery is fifteen mintes from my house. But their hours are not normal, and I have not known which stores carried their wines. I have felt ashamed of myself. One of our two favoritee local Italian restaurants, Frankie Fed's on Route 33, uses the Four JG's Winery glasses for people who bring their own. So I have even been even more embarassed, since I have not reviewed them. The poroblem for me has been that Four JG's Winery is open to the public on Saturdays and Sundays beginning October 28, 2006 through December 23, 2006, and selected advertised weekends during the year. It just never seemed to work. I even showed up one time just after they had closed. 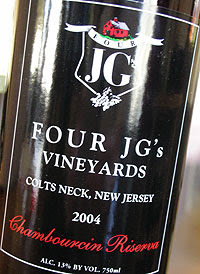 Four JG's Orchards & Vineyards is located in Central New Jersey in a historic farming area. The winery is named after the four owners, John and Janet Giunco and their two children, John (who most know as "Bert") and Jill. 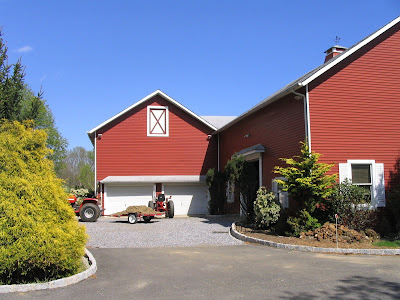 The Giunco family has farmed in Monmouth County for over 60 years. Four JG's seek to grow quality fruit and make the highest quality wine. The estate produces wines that are bold in character and rich in fruit. 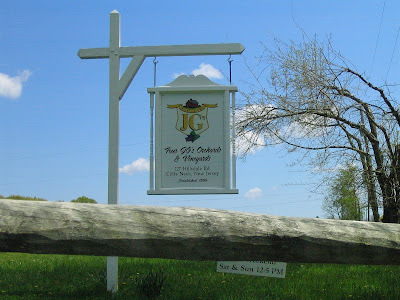 Founded in 1999, Four JG's Orchards & Vineyards is located on a farm with barns and houses that date back to the early 1700's. I approached the barn and the winery building. Both were very evocative of the country farm expereince, picture perfect, and beautifully maintained. Everythign about the winery speaks of family. Janet's sister and mother man the tastingroom, which is the livingroom of the old farm house. 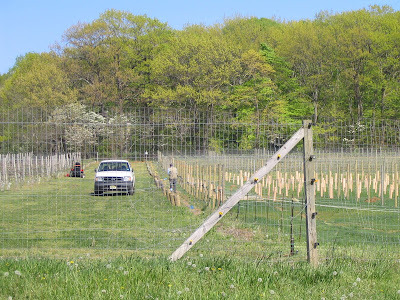 Jent was ringing up the sales at the register and John and his -father-in-law were outside planting a new vineyard. Everyone was friendly and jocular. When you walk into 4 JG's you are one of the family. No question, my favorite was their Seyval Blanc. Nice fruit up front, lemony, and nice dry finish. Very nice. Wonderful. Their Cayuga White and Vidal Blanc, which are sometimes cloying sweet bombs at other country wineries, were also refreshing white which really hit the mark. A slight touch of sweetness up front, but both dispelled with a dry pucker on the end. All of the whites were dry and perfect for the upcoming summer, great with salads, chickem or fish. Another shocker was that I liked their Monmouth Blush. Only slightly sweet, it's half rose' and half blush. A fabulous sipping wine. Great with cheese or conversation. Put some of this on ice, light some lanterns, and let's gather on the deck with a bottle or two of this stuff. One of my favorite blushes almost instantly. The Cabernet Franc 2005 is young, with bright cherry and hints of vanilla. Nice tannins, and nice finish. This recently won a medal at the 2007 San Francisco Chronicle Competition. The 2004 Chambourcin started off with lots of black cherry, and had some other lovely notes. A wonderful, medium bodied red. And f course there was the Chambourcin Riserva was also very delicious. This has won at the Los Angeles County Fair and the 2004 New Jersey Governor's Cup. So this is an accomplished wine. OK, so how can you get your hands on this hard to get Jersey gold? Well, first, go to their website: www.4jgswinery.com and see what their hours are or if some event is about to take place. Regardless how you do it, you need to find this stuff. It's best if you go there, the place is absolutely beautiful. Don't be a lazy, silly SOB like me. Get off the couch, stop making excuses, especially in the fall, and get over to Four JG's Vineyards, and find out what you've been missing - and become a part of the family! You'll be thrilled. Bob Bartlett doesn't know me from Adam. We've never met. He might not look at me if I fell in front of him. None of that matters. The really important thing to know about Bob Barlett, and Bob and Kathe Bartlett's fruit wines, is that they are among the best fruit wines in the world. If Bob Bartlett was making his wine in France or Belgium he would be one of those star winemakers they seem to make documentaries about over there. He would be feted, celebrated. His opinion would be sought on important and silly subjects alike. He might be a favorite of Fleet Street, Paris Match, or Oggi. He might have been awarded a knighthood. No doubt in Australia or New Zealand he would already been a food and wine star. And he would deserve it. No matter who else is making fruit wines, no one, aywhere else in the world, is making anything better. And without question, he is undeniably among the greatest of fruit winemakers. 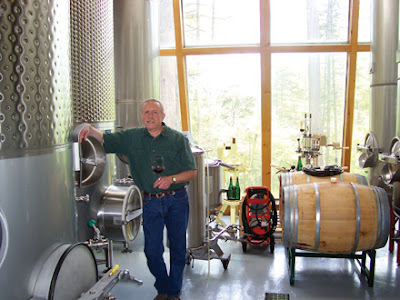 Barlett Maine Estate Winery wines are some of the most treasured in my wine cellar, and because of my distance from Maine, I tend to serve them to only the most discerning of wine visitors. I wish I lived closer. His dry blueberry wine could pass for a light chianti. His pear and apple wines are delicate and delicious. And his stickies are wonderful, balanced sweet treats. As the winery's website testifies, "As a top producer of quality fruit wines in the country, we've surprised a few people with the range and sophistication of our wines. When a local friend shipped a few bottles of Bartlett's Blueberry Reserve to France, the tasters refused to believe it was pressed from blueberries. Our aging process, which includes using French and American oak, creates wonderfully complex, open-palated wines sure to please even the most dedicated traditionalist. While grape chardonnays imply notes of apple or pear, our dry white wines are pressed from them! Our reds come from local 100% pure hand-raked blueberries that create a robust wine, evocative of the surrounding woods and Atlantic seabreezes." Tucked away in the spruce forests of Gouldsboro lies Maine’s first winery. 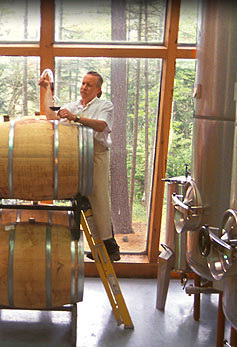 Bob and Kathe Bartlett, owners of Bartlett Estate Maine Winery, began their “small” winery in 1982, producing 600 gallons that first year and six different wines. Today they produce almost 14,000 gallons of wine a year, making them the largest winery in the state of Maine. After moving here in 1975, winemaker Bob Bartlett soon learned that growing grapes in Maine was a fruitless endeavor. Instead, he turned to the Maine version of the grape — the blueberry — for inspiration and decided to stay in the area to produce high-quality fruit wines. But before Bartlett could open his doors, he had to rewrite Maine State law to allow for the selling and tasting of alcohol at a winery. In 1983, the Maine legislature enacted the Farm Winery Bill and Bartlett paved the way for future Maine wineries. Today, 80 percent of the fruit and all the honey Bartlett uses in his 19 wines — which include pear semi-dry, mead dry, blackberry sweet wine and blueberry oak dry wine — are produced right here in Maine. Bob and Kathe are the only year-round employees of their sylvan winery, where they give tastings of seven of their wines. Their tasting room, housed in a handwrought stone building, has as many as 700 to 800 visitors a day during the summer months. Always experimenting with innovative tastes and fruits, Bartlett has some new flavors he’ll soon be adding to his selection. But in the competitive business of winemaking, he doesn’t want the secrets getting out before the wine does. Other plans for the Bartlett Winery include a new building they’ll be adding with a self-guided tour and another tasting room. Their current tasting room is open Monday through Saturday from 10 a.m. to 5 p.m., except holidays, until mid-October and through the winter by appointment only. I have served numerous people Bartlett's wine not telling them what it is. Like the story above, it's always a surprise people refuse to believe. Once, while in Maine, I poured the Dry Blueberry, and my host, my brother-in-law, an Italo and Franco wine-o-file, also refused to believe it was a blueberry wine from Maine. All this goes to say that Bob Bartlett is an artist who ues fruit as his medium, and the magazines like Decanter, Bon Appetite, Food & Wine, and Gourmet should know who he is....and they should be telling everyone. In the meantime, I'm doing what I can. And Bob, next time I come up, I promise to introduce myself. Governor and First Lady Baldacci and the Maine Alliance for Arts Education will host the Third Annual Wine, Cheese and Chocolate Extravaganza on Friday, May 4, from 5:00-8:00 pm at One Longfellow Square in Portland. The event is a fundraiser for MAAE, a state-wide nonprofit organization that works to strengthen education in visual art, music, dance, drama, and creative writing for all Maine students. The Governor and First Lady will join guests in tasting the wares of Maine’s best wine, cheese, and chocolate producers. Musicians from the Portland Conservatory will perform and local student artwork will be shown during the event. The event is open to the public, and tickets are now available and can be purchased by calling Elizabeth at 232-2203 or by emailing ewatson@maineartseducation.org. The suggested donation for the event is $30 per person, or 2/$50 if purchased by Tuesday. Tickets can also be purchased at the door, cash or check only, please. The event will also include a silent auction in which guests will have the opportunity to bid on valuable items including those from Portland Ballet, Maine Center for the Arts, PCA Great Performances, Waterville Opera House, art books, and gift certificates from area restaurants including Hugo’s, Walter’s, Caiola’s and Pepperclub. Guests will have the opportunity to taste delicious treats and support arts education at the same time. 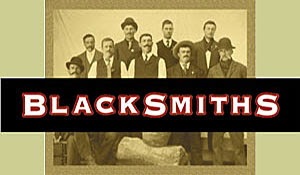 Bartlett Estate Winery and Blacksmiths Winery will be this year’s wine distributors. Hahn’s End and Silvery Moon Creamery at Smiling Hill Farm will be supplying their cheeses. Monica’s Chocolates, Dean’s Sweets, B. Potter Wine Chocolates and Wilbur’s of Maine will present chocolates. Sponsors for the event are Time Warner Cable and Whitney Art Works. The proceeds of the event will support the work of MAAE whose network of classroom teachers, arts specialists, school administrators, parents, artists, community supporters, and arts organizations work in their local communities to ensure quality arts education experiences for all children. The Maine Alliance for Arts Education is a member of the Kennedy Center Alliance for Arts Education Network. For more information, contact MAAE at 207-232-2203 or ctrimble@maineartseducation.org, or visit the MAAE website at www.maineartseducation.org. June 23 & 24 at Split Rock Resort 16th Annual Great Tastes of PA Wine & Food Fest. The two-day outdoor festival, held from 12 to 6pm on the grounds of Split Rock Resort located in beautiful Lake Harmony. 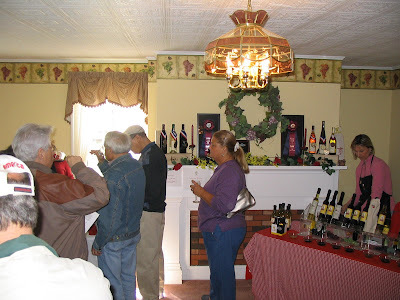 Sample and purchase wines from around Pennsylvania. Up to 30 Pennsylvania wineries that will be featured at the event and you can tempt your taste buds with foods from a variety of vendors. Educational seminars will be held during the Festival so check them out and learn some new things about wine. Continuous musical entertainment is offered on three separate stages. Split Rock also offers a weekend package for our overnight guests. Each Festival attendee will receive a commemorative wine tasting glass, and you must be over 21 to be served. Enjoy Pennsylvania wine, music and fantastic food at the Seven Springs Mountain Resort Wine and Food Festival. This annual event is one of the largest wine festivals in Pennsylvania, with over 20 wineries participating. Learn about wines from the educational seminars that are offered throughout the day. For further information or to make reservations, please visit http://www.7springs.com/ . Thousand Islands-Seaway Wine Trail Opens! The Thousand Islands-Seaway Wine Trail will have its grand opening on Thursday, May 24, officially inaugurating New York ’s newest wine trail in an area most people never before associated with grapes and wine. Thanks largely to the leadership of Steve Conaway of Thousand Islands Winery in Alexandria Bay , with legislative support from Senator James Wright and Assemblyman Darrell Aubertine in getting wine trail legislation, the trail is now a reality. 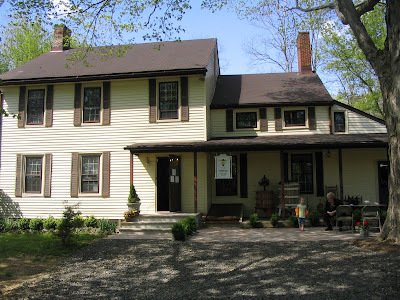 Yellow Barn Winery in Watertown and Otter Creek Winery in Philadephia ( New York , that is, where Philadelphia Cream Cheese is made) are the other current wineries, with more in the offing, along with Seaway Cold Hardy Grape Nursery. To their credit, these “north country” wineries are focusing on unique grape varieties, known as “ Minnesota varieties” for where they were created, that can withstand extremely cold temperatures and still produce reliable crops of good grapes that make fine wines. Near the fabulous Thousand Islands vacationland in the St. Lawrence Seaway , these wineries should see plenty of tourists in the next several months. North Country is also a great area for many other premium agricultural products like McCadam Cheese (voted America ’s Best Cheese in a recent national competition held in Wisconsin !) and Mercer’s Dairy ice cream with its unique line of luscious wine ice creams. New York state took gold at the recent San Diego International Wine Competition, with Riesling and Cabernet Franc leading the way. Heron Hill Winery, one of the oldest and finest Rieslnig producers of in the Finger Lakes, took Gold medals for its 2004 Johannisberg Riesling and 2004 Late Harvest Riesling. 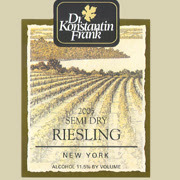 Also a winner was the 2006 Semi-Dry Riesling from neighboring Dr. Frank Vinifera Wine Cellars, another consistent winner which sparked the “vinifera revolution” in the eastern United States. 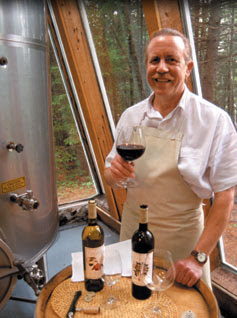 Red Newt Cellars on Seneca Lake copped two Golds for its regular 2005 Cabernet Franc and the 2005 Cabernet Franc Reserve. Merritt Estate Winery in the Lake Erie Region also won a Gold medal for its nonvintage Bella Rosa. A continually updated list of New York ’s winners is available at http://www.newyorkwines.org/ under the “New York Gold” section, searchable by competition or type of wine. It’s your personal shopping list for wine.